You can mask sections in the line plot to exclude them from the analysis. This line graph illustrates how a signal goes with time. 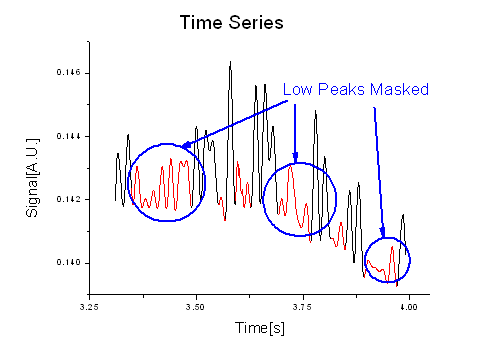 The low peaks are masked. If analysis is applied, they will be excluded.